Quite possibly the best entry of the series and definitely one of the best action movies ever made. I’ll admit that I wasn’t the biggest fan of the 1996 Mission: Impossible film when it was released back then, but it has grown on me along with part two and three. But when the fourth entry was released, I was definitely hooked and couldn’t wait for more. 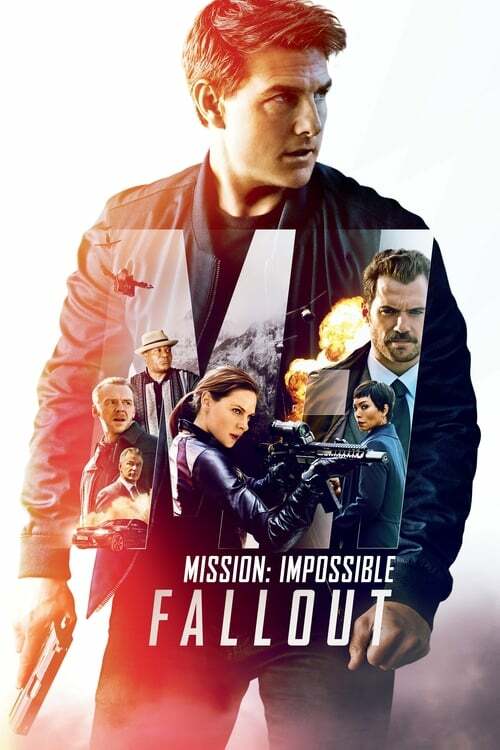 Thankfully I got my wish with the fifth installment which was even better, and just when I thought it had reached its peak, then comes along the latest entry, Mission: Impossible: Fallout. If you love action films filled with loads of double-crosses, intrigue, and Tom Cruise doing amazing stunts and running for dear life, you’ll want to get caught in the fallout of this blockbuster. Our own Trent McGee had told me all about this hit film during its theatrical run, and you can read his review for all of the juicy plot details and more while I go into my take on this 4K release and the special features. Trent nailed exactly how I feel in his review, as I had a blast with this one. Everything from the action, to the numerous double-crosses that keep you guessing who’s on who’s side, to the fantastic practical stunts done by Tom Cruise, and the gorgeous cinematography that’s so beautiful it feels out of place at times but is certainly welcomed, make this film the total package when it comes to crafting a blockbuster movie. Watching this unfold in 4K with HDR color just made the film even more amazing, as I felt like I was part of the MI team thanks to the amazing clarity and detail from the 4K visuals and Dolby Atmos audio. This format takes advantage of every part of your home theater setup to place you in the middle of the action, and you’ll find yourself reaching for this disc whenever you want to show off your 4K screen and audio to friends and family. As if the movie itself wasn’t action-packed enough, there’s a ton of special features to work your way through as well. There’s not one, not two, but three audio commentaries, with the first featuring director Christopher McQuarrie and star Tom Cruise discussing their work together, fun anecdotes that occurred during production, and more. The second commentary track has McQuarrie teaming with editor Eddie Hamilton where they talk about some of the amazing technical pieces in the film and how they make the movie such a spectacle to behold, and lastly music composer Lorne Balfe gets his own track where he shares how he went about crafting the score and how some scenes inspired him to fit the perfect music with them. Then there’s some behind the scenes extras that will keep you busy, such as “Behind the Fallout” that’s a seven part feature that goes into the making of the intense action sequences, the dangerous stunts Tom Cruise pulled off in the film and got hurt doing, the supporting characters and what they bring to the table, and more. “Storyboards” features four parts that focus on some of the action scenes, “Deleted Scenes Montage” has optional audio commentary from director McQuarrie and editor Hamilton as viewers get to see some scenes that were dropped on the cutting room floor. I’ve seen some pretty good action films this year, but Mission: Impossible – Fallout is in a league of its own. I could go on and on about how amazing it is, and about the bathroom fight scene and jaw-dropping stunts that’s already set the bar for future action movies and more, but you owe it to yourself to experience this masterpiece. Everything about this film screams perfection from the amazing cast and their performances, to the insane and intense action moments and stunts, and of course loads of double-crosses that will keep you guessing until the very end. So make like Tom Cruise does in this film and run like crazy to the nearest store and pick this one up, as this is an explosion fallout of fun you’ll want to be caught in.